It’s a big morning for rough-and-tumble, take-no-nonsense heroines. 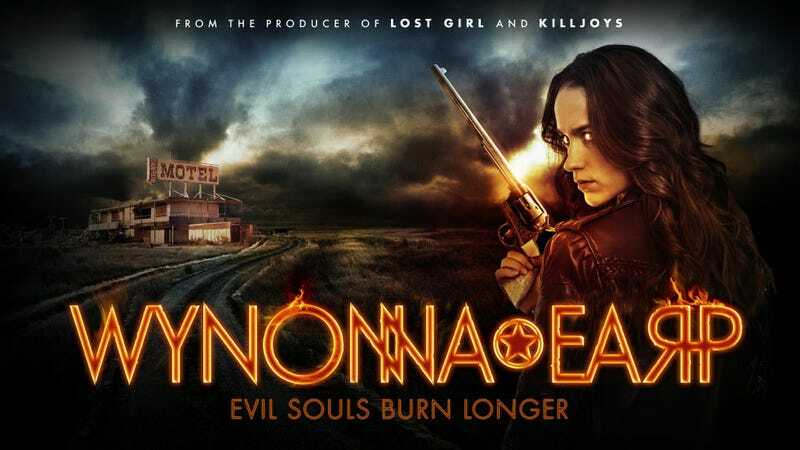 The first poster and synopsis of Syfy’s upcoming TV series has arrived, and it turns out that while Jessica Jones may have metaphorical demons to face, the demons Ms. Earp will battle are quite real. I’m not exactly sure why Wyatt Earp needs his name cleared—I mean, the historical Earp certainly had some issues, but if the two sides are Earps vs. demons, I feel like most townsfolk would go with the Earps, right? The show debuts with a 13-episode first season in April 2016, so I presume we’ll find out no long thereafter.